What Are The Best Canned Refried Beans For Your Pantry? In my house, canned beans are just a given. Yes, almost all bean products can be created at home from dry beans, but unless you have all day to sit by a pressure cooker, it’s just not practical. 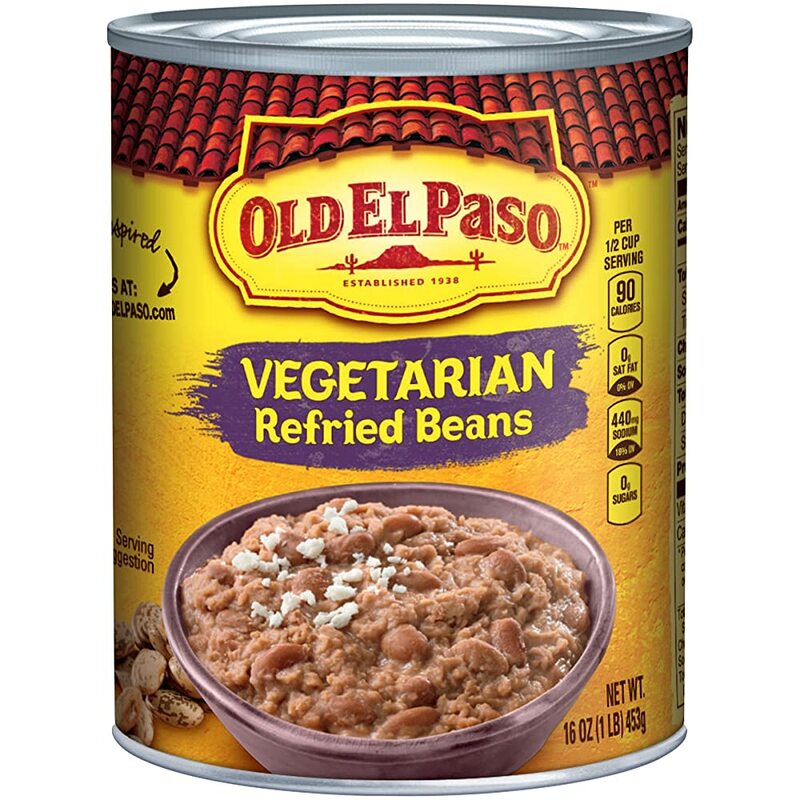 Finding the best canned refried beans was crucial for my family; this versatile vegetable can be the centerpiece of a meal with taco or burrito night, or be added to other dishes, like nachos, Mexican lasagna, or Mexican pizza. There are many different factors that go into my choices of canned refried beans. How will I be using them? Do I need them to stand alone as a side dish, or will they be blended into something else where their texture is more important than their flavor? Do I want them to be very smooth, or would I prefer a chunkier dish? While these factors are different for everyone, these are a few of the considerations I have. Some cans of refried beans are incredibly smooth. Others are more chunky, giving you a sense of having chunks of beans still present. What I’m using the beans with can often determine what I want my beans to feel like in my mouth. If I’m spreading them on a tortilla to make a “pizza,” I want them as smooth as possible. If I’m using them for burritos or tacos, however, a little more bulk to the beans helps them both stay in place better in the food and gives a better mouth feel. While my family is not vegetarian, I have some pretty strong feelings about meat products being in places that don’t make sense. A lot of refried beans are made with lard, an animal byproduct. Vegetarian beans use some of the retained cooking water to smooth the beans out and give them the right consistency. I am often cooking for vegetarian friends, so I tend to store vegetarian beans in the house. Some people feel that lard gives refried beans a smoother, richer taste. You could add milk or sour cream to smooth out the beans as well. Some people like beans that are deeply flavored and have a lot of spice in them. I tend to prefer beans that are more mild, and which I can dress up however I like. When my kids are eating, that often means adding some milk and cheese to the heated beans to make the flavor rich and mild. When I’m making beans for my own use in burritos, that often means dumping a can of salsa in with the can of beans as I heat them. This adds additional vegetables, increases flavor, and also thins out the beans enough to make them easily spreadable. 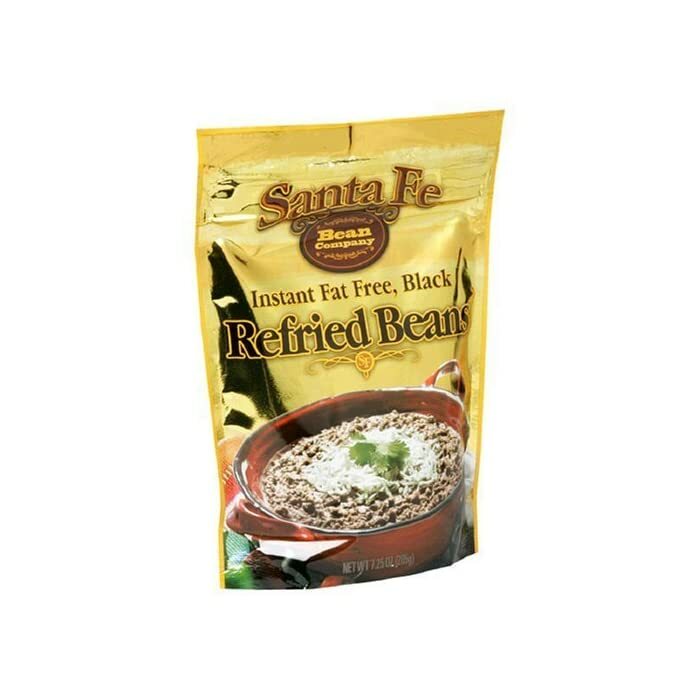 There are a number of delicious brands of refried beans out there. I’ve assembled a few of my favorites. Scroll down to look at the specific reason why I love each of these brands, or click the link above to find the current price on Amazon. When you’re looking for a creamy refried bean like you’d get at the local Mexican restaurant, Rosarita’s is an exceptional choice. Many standard refried bean options end up too thick and with a glue-y kind of texture unless you smooth them out with a liquid of some sort. These beans are great right out of the can and are great served as a side dish to your main meal, or built into a dip or other menu option. These are a great go-to refried bean. Definitely need some spicing and additions to get to a really good flavor. When I’m at the store picking up a few things for dinner, I won’t refuse these beans and change dinner plans because they’re the only ones available, but they’re definitely not my favorites. These beans are definitely not the best tasting canned refried beans I have had. Their texture is pretty solid, and they have a bit of a flavor that seems to be picked up from the can. To spruce them up, I tend to add some salsa, which thins out the beans and builds some better flavor in. You could also saute some onion and add these beans and a quarter cup of water to get them in better shape. Even adding a packet of the El Paso taco seasoning spice would help. Vegetarian but with traditional, creamy texture. 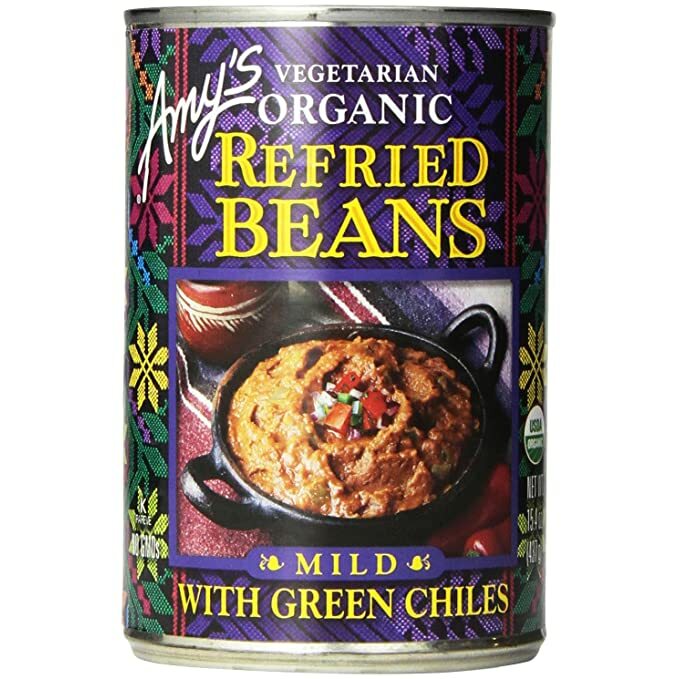 Amy’s Organic has so many options when it comes to refried beans that I often find myself browsing their section, even though they’re more expensive than some other companies. I can open these cans and, with minimal effort, have dinner ready to go. I need to heat the beans through, but I don’t need to spice them, add milk or water, or try to mitigate an unpleasant taste. To me, that is well worth the premium. The first time I bought beans in this Amy’s line, I was surprised at the fat content; when I looked at the label, however, I realized that the sunflower and safflower oils were the major contributors to this. Choose them in low sodium, black bean, traditional, and more. You will absolutely want to add spices, at least; some oil or milk-based product (sour cream, milk) will help give the beans a creamy texture. These are not a bean I particularly like to keep in my kitchen, but for my friends who hike or camp, they’re absolutely fantastic. The packets are lighter to carry than cans of beans; spread on a tortilla for a protein heavy meal that will keep you full while moving. That said, I find them far too tasteless to cook without some spices, but you could make up twists of spices to include for your hiker’s convenience, or use packaged spices of one kind or another. Even a jar of a spice blend will be lighter than multiple cans of refried beans. Which Is The Very Best Canned Refried Bean? With so many great options, it’s hard to choose the very best refried bean for my family. All in all, I tend to prefer the Amy’s Organics versions, because there are so many versatile options. Most brands have a low or no fat choice, a vegetarian choice, and a traditional choice. I like how Amy’s Organics goes beyond that into products which incorporate additional vegetables, different spice blends, and other features. These cans are also BPA free, which means that there aren’t distressing chemicals leeching into my food. I will buy the El Paso beans if I need to, and their price is generally lower than the Amy’s Organic brand. 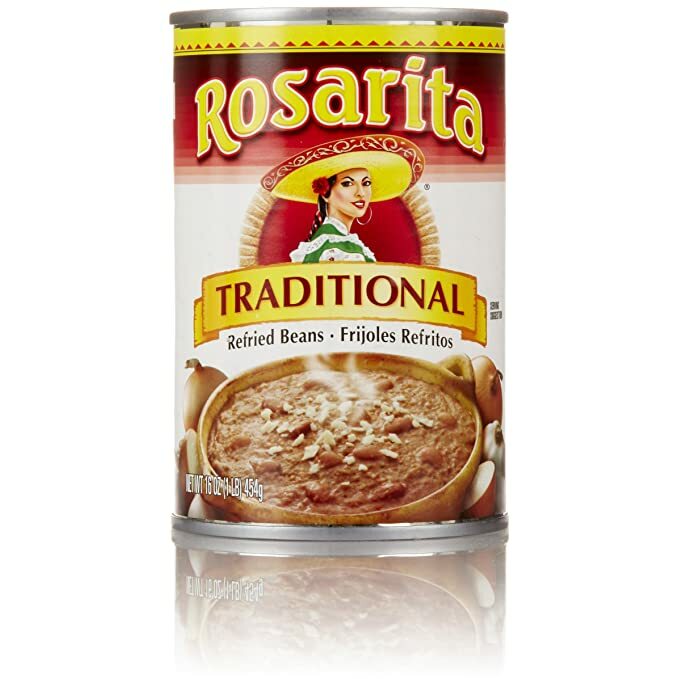 What is your family’s favorite brand of canned refried beans? Loved your article about beans. Who knew such enthusiasm and passion could go in to choosing refried beans. Very fun read and also informative. Thank you.